What? Where? 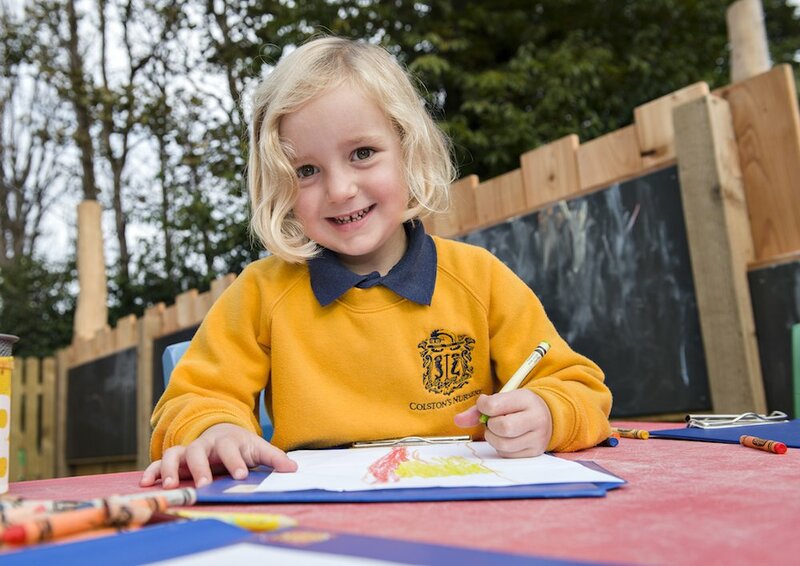 Colston’s Lower School is a prep school for ages 3-11 in a co-ed environment at the edge of Bristol. 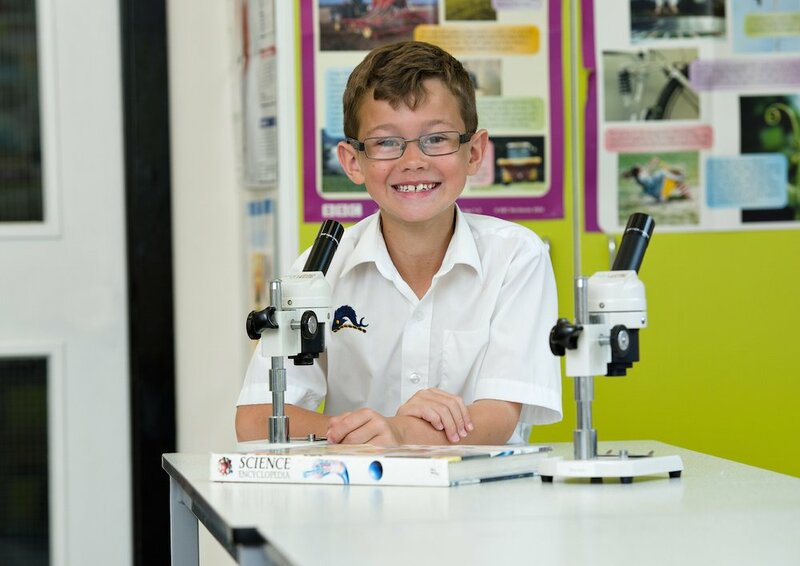 It has the best of both worlds – the lower school is small (250 pupils) but has the benefits of a larger Upper School across the road, with all the lovely shiny facilities that has to offer. 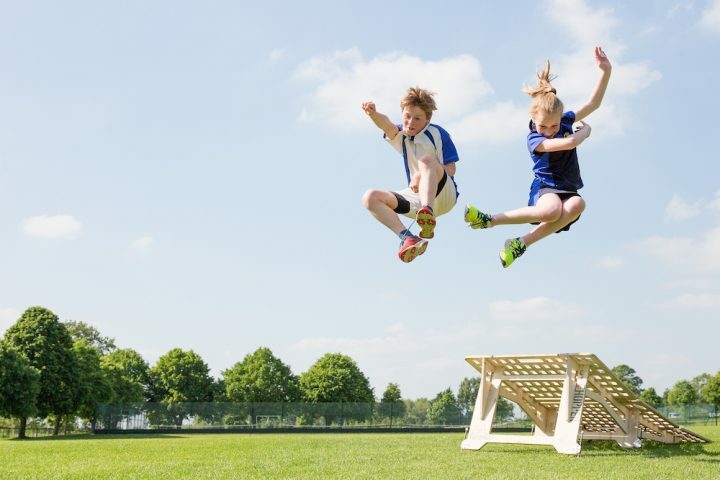 It has a sparky, progressive and rigorously academic curriculum, a superbly diverse group of students, and (if you take into account the Upper School which is used every day by the children) acres and acres of grounds to play and learn in. Established in 1710 by Edward Colston in premises in the centre of Bristol, it was originally for poorer boys, to educate them to a high enough standard to get them an apprenticeship. It was taken under the wing of the Society of Merchant Venturers, a philanthropic group who now oversee 9 schools across the country, and are still very involved in Colston’s to this day. The school has a feel of a healthily international melting pot, with over 13 languages spoken at home in families from all over the globe. Saying that, and maybe because of that, the school has an extremely strong family feel. Families send their sons (and grandsons) here – the school currently has a boy who is the 3rd generation of his family to come to the school. Old Colstonians play a huge part in supporting the students (and with a number of generous bursaries), and staff stay for years – I am told that the much-loved Mr Watts worked here for 43 years and is now back to help with school trips! Pupils are fairly local, mostly coming from within a 3 mile radius around North East Bristol, with some from South Glos. 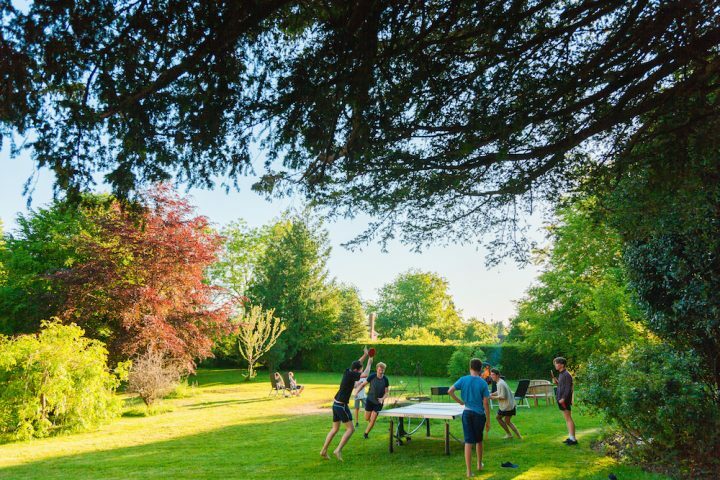 Facilities: Although the prep school is on a small-ish site if compared to a country prep (it’s perfectly adequate for a city school), it has the massive benefit of the Upper School’s grounds. On the 30-acre site are endless sports pitches, a theatre, AstroTurf, dance studio, sports hall, swimming pool, ornamental garden and its very own forest. Every year group, from Nursery to Year 4, has Forest School here every week, come across for sports, even eat lunch here. All teaching is done at the Lower School, plus weekly classes in drama and music, and PE takes place in the small Lower School hall. Children in the pre-prep head to a local pool for weekly swimming lessons. 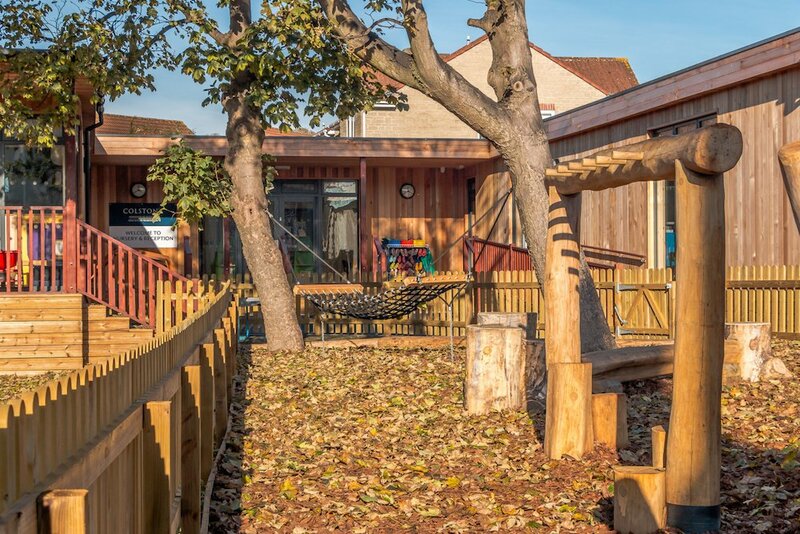 Now, feast your eyes on this brand new £1.2m baby – the redeveloped Early Year’s Centre for nursery and Reception was christened by no less than Princess Anne this month, having opened in September 2018. The Canadian-inspired building is exactly how learning spaces should be – light and bright and multi-use, so classrooms open up and join into one, become lunch rooms or water-play parks at the click of a button. 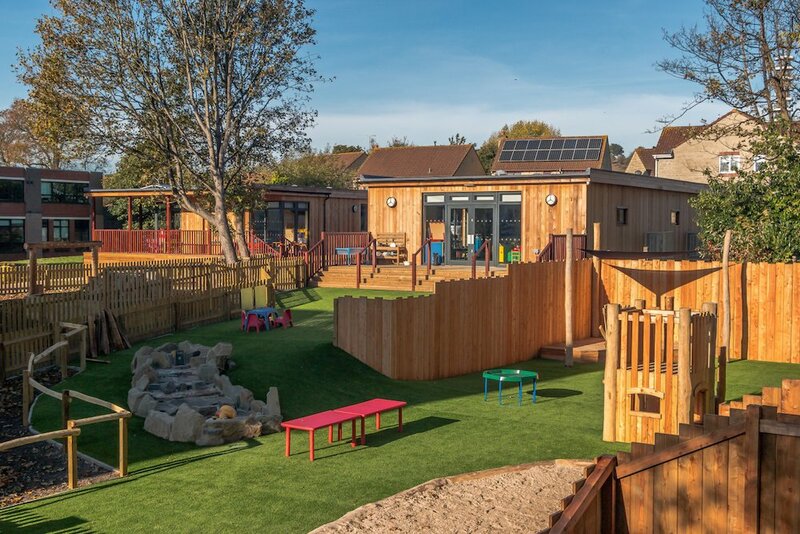 Sliding glass doors turn indoor classrooms into outdoor spaces, leading out onto two beautifully-designed bespoke adventure playgrounds. The Junior Block is also separate from the main building, with modern classrooms and work spaces, and the Junior Library has the benefit of a professional librarian from the Upper School manning the stands at lunch break. Academic results: While the school is not a hot-house of learning, academics are strong here. Departments are divided into 3 faculties: Creative and Performance, STEM, and English and Humanities. This is a new structure, introduced by impressive head David Edwards, who feels it enables an enhanced cross curricular programme and more opportunities to explore those subjects. This echoes the structure in the Upper School, where departments form 5 faculties. French and Spanish are taught in the Lower School, with Mandarin coming soon – unusual for a prep school. Early morning spelling clubs and booster groups for maths and English support the most able, with Gifted and Talented programmes covering all areas, not just the academic arena. There are 2 classes per year from Reception to Year 6, with 12-14 in each class in the Pre-Prep and up to 18 in the Junior School. There is the opportunity to grow to 3 classes at every level if needed, but the school won’t grow larger than that. Formal assessments take place for all children joining from Year 3 upwards, although this takes the form of a fairly gentle 2-day taster with academic papers in maths and English. 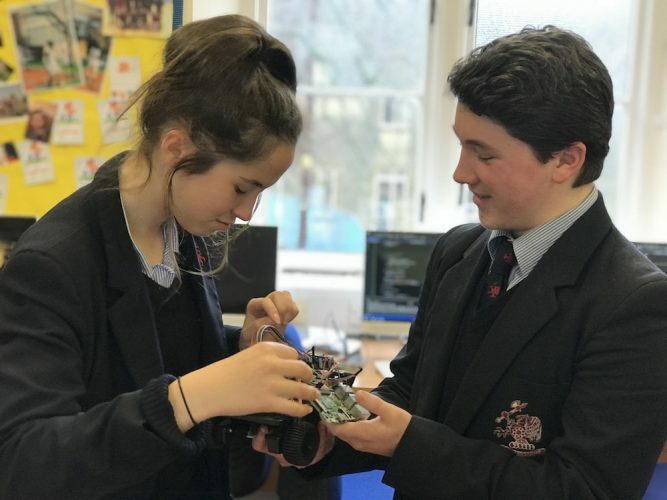 While some parents may feel Colston’s Lower doesn’t have quite the academic clout of its rivals Queen Elizabeth’s Hospital School or Bristol Grammar School, it can absolutely support the brightest and best – as shown by the fact that the school rarely loses pupils to its competition. Indeed, 98% of pupils move onto the Upper School, and results there are impressive. Saying that, the school isn’t interested in creaming off the top tier of students. While it is academic, it is not a ‘school of savants’ and what they are looking for in pupils is rounded children who can keep up with the academic study while really appreciating drama, art, sport and Forest School. At Colston’s the top set are very able and will be stretched, while they also have a SENCO and strong learning support department. Headteacher: David Edwards is the man at the helm, having joined the school 3 years ago. While he has no plans to go anywhere anytime soon (always important to know when choosing a prep school), he is not a first-time head. Previously he worked as a PE teacher both at home (Wycliffe College and St Columbus in St Albans) and abroad, before settling down at Warminster Prep, and becoming Head there for 8 years before moving to Bristol. This is a man who knows his biscuits when it comes to running a school (and more importantly, when it comes to primary-age children), and is outward looking. He knows every child and rightly prides himself on not only being able to name each one, but that he is on the door to meet them every morning. 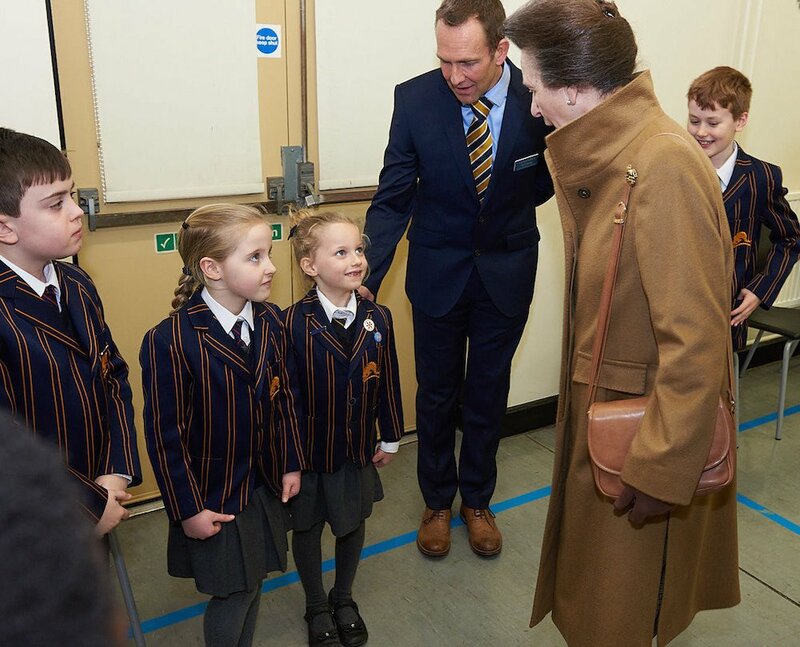 His (and the school’s) is a personal service – he is forward thinking in his approach to education but places a huge value on manners and behaviour. Table manners and conversation over lunch are important, and he likes a traditional hand shake at the beginning of the day. I was impressed that the children stood up when we popped our heads into classrooms. I’d say Mr Edwards is one of the most hands-on heads I’ve met, still teaching PE to Year 3, and genuinely encouraging parents to knock on his door anytime, any day. And parents do! He tells me that, if you know every child and every family well, you can be there immediately if and when anything happens. He has a very clear vision for the school, that it must be the best school it possibly can be, but is aware that it may not be everyone’s cup of tea. It might not be Prep School-y enough for some, and certainly doesn’t have a rolling, leafy driveway with polo ponies in its stables. His honesty is refreshing. What else? 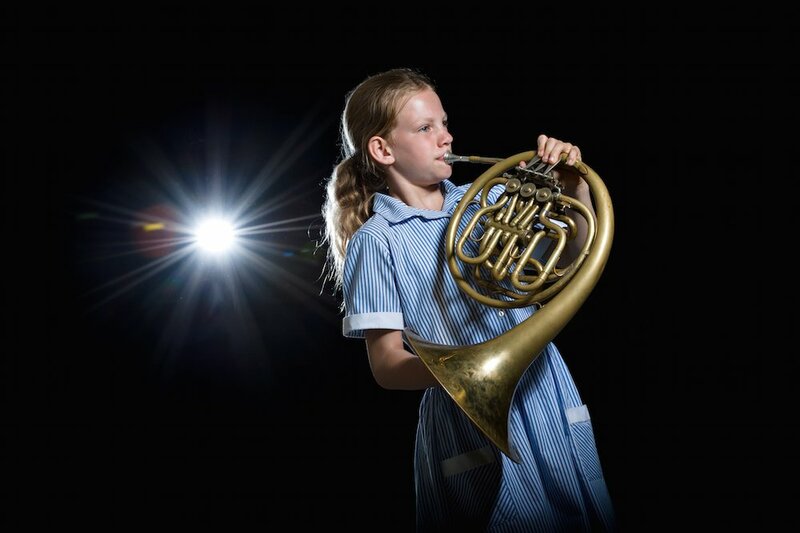 In line with the school’s forward-thinking ethos, trips include taking pupils to sing with thousands of other Young Voices at the NEC, to see Concord at Aerospace Bristol, or to Bristol Aquarium, plus there is a family ski trip every year. Drama is big, with Year 6 getting involved in a large school production every year and Years 3-5 having their own play. There is also a Nativity for Reception children and a play for Years 1 and 2 together. All children have an hour of music and an hour of drama a week, and music groups include a guitar group, jazz band, string group and choir. The Upper School has an impressive theatre, and there are frequent musical workshops led by professional actors for all children. Sports don’t fall behind either – the Under 9 and Under 11 rugby teams remain undefeated, and girls’ hockey made it to the quarter final of IAPS this year. I am told that when the children go to matches, they go to win, not to mess around! 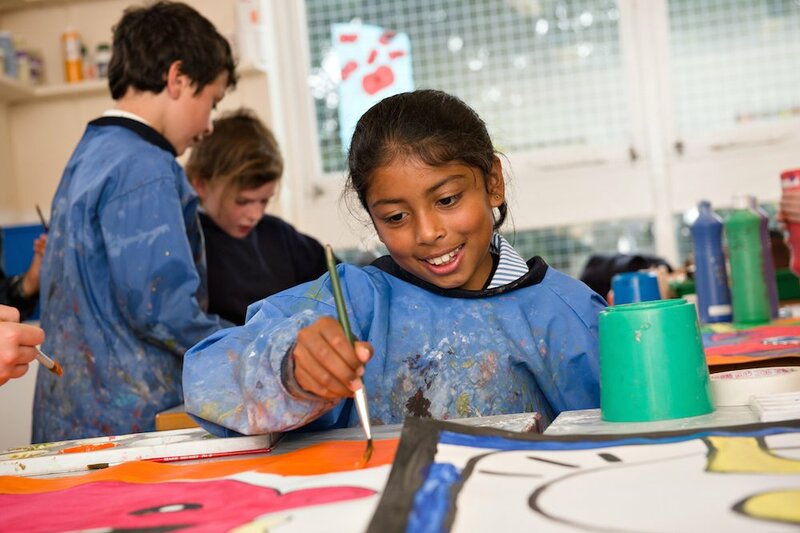 I would say that one of the strengths of this school is that it really gives children a feel of what Bristol is all about, with a wide variety of backgrounds and cultures. Children aren’t in a bubble, separated from real life, but in a grounded, caring, busy and enjoyable community. Quirks: I’m going to pick out their residential trips programme – this is the only school I’ve visited who arrange an overnight residential for Year 2 children. OK, it’s only one night, but it’s a start! Years 3 and 4 go away for 2 nights, while Years 5-6 get 3 nights away. All trips to involve muddy stream walks, which I am told basically end up as muddy sitting-in-more-mud adventures. Wraparound care: Excellent – you can leave your child at 7.30am for breakfast club and pick them up at 6pm if you need to. From Year 3 upwards, after school care is free. Nursery starts for children aged rising three. 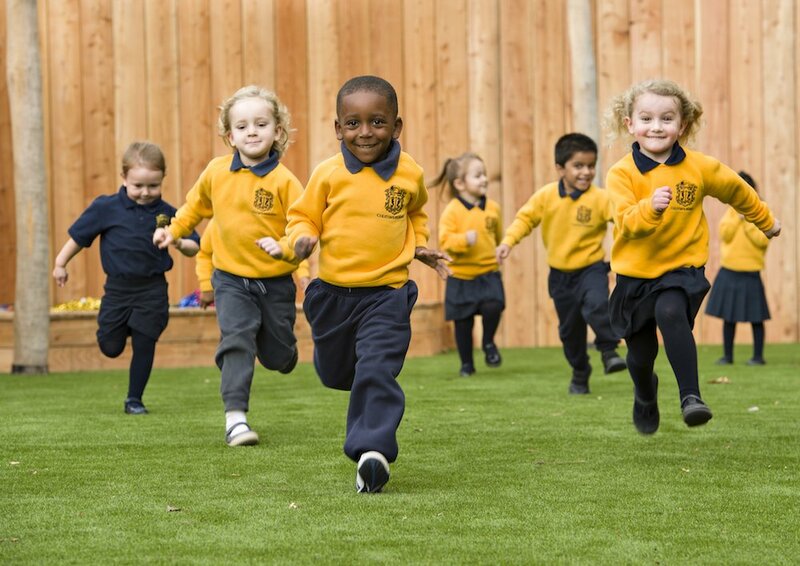 Fees: Reception, Year 1 and Year 2 £2,560 per term, Year 3-4 £3,160, Year 5-6 £3,475. Word on the ground: Parents love the caring, family atmosphere, and the fact that it is an all-through school. Almost all of Colston’s pupils stay until age 18, which makes for a lovely sense of continuity for both pupils and staff. They feel it is a ‘real’ independent school (read: not too posh), with parents who work hard to send their children here. Parents are happy with the academic level and are not phased by the school’s more hot-housey competitors. Good for: Children who are academically able, muckers-in, and hard workers. Those who want all the facilities of a country senior school in a city setting. Not for: Those who favour more traditional country prep schools with leafy driveways and tumble-down chapels. This is absolutely a city school, in all areas. It is not the best place for a child who struggles academically, but nor will it prepare for the move to a different school at 11 or 13 – Colston’s like to hang on to their pupils. Not for those who like a large turning circle or spacey car park – this is a city school! Dare to disagree? 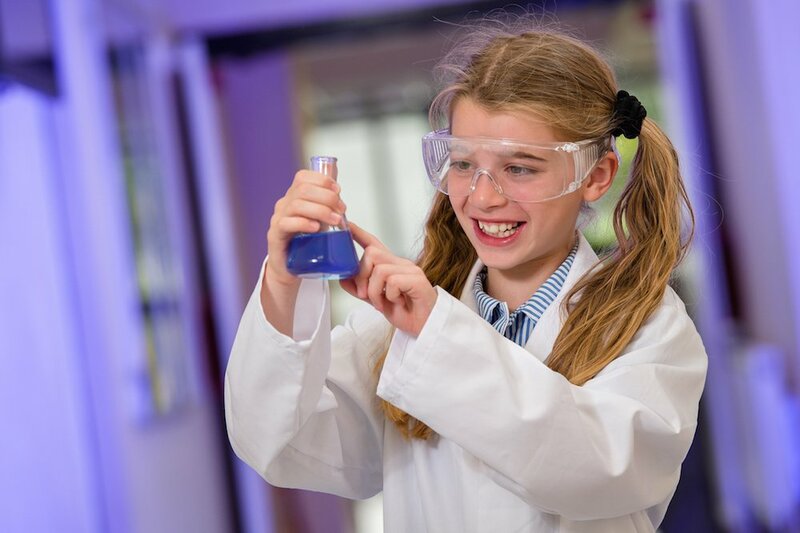 You can arrange a visit at any time, but their next open morning is Friday 10th May at 9.30-11.30am – make sure you take a look.